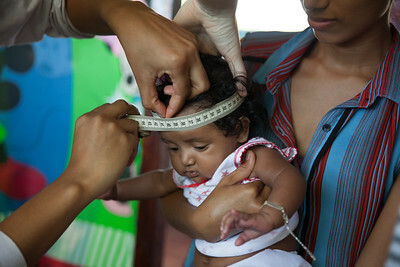 Measuring the circumference of a infants head is a good measure of development. 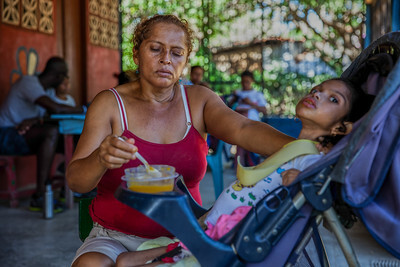 In Nicaragua, malnourishment is common and leads to under-development in children. 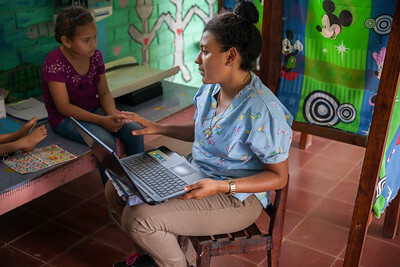 A young patient being examined by Dr. Gutierrez. 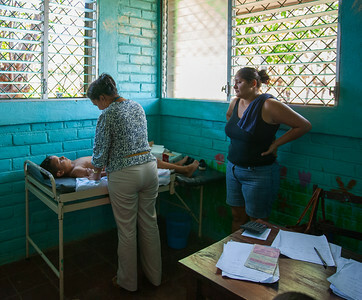 Dr. Gutierrez examines a young patient as his mother watches. A young girl is very scared of seeing the doctor. 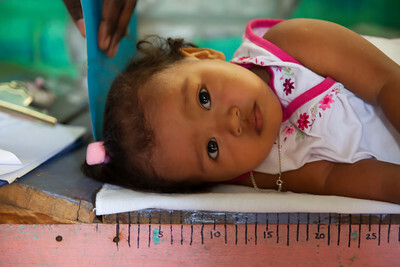 This little girl was simply laid flat so the doctor could measure her total length as indicated by the rudimentary ruler hand drawn on the bench. 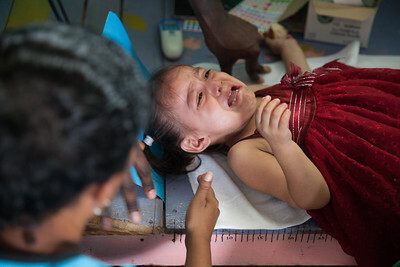 A little girl lays on the bench to be measured. 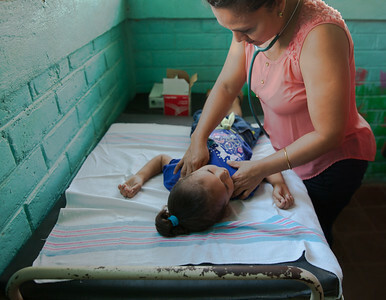 Dr. Gutierrez examines a young girl brought into the clinic. 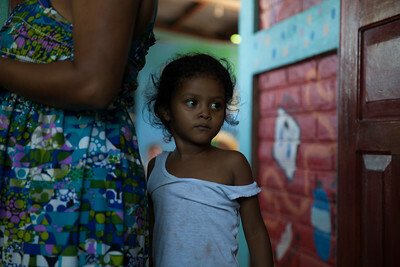 A young girl, hiding behind her mother is nervously waiting to see Dr. Gutierrez. 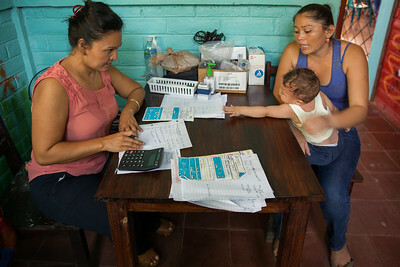 An infant, sleeping on the exam table, was brought in by his mother running a high fever. 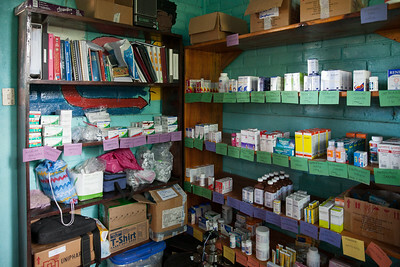 The pharmacy at the FIMRC clinic. 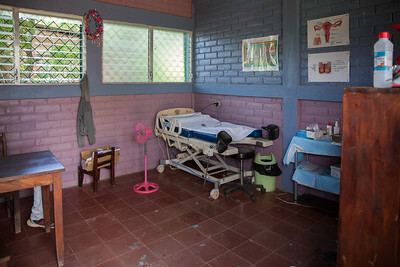 The OBGYN room at the FIMRC clinic. A young girl, 14 years old, is receiving a ultrascan for the first time. 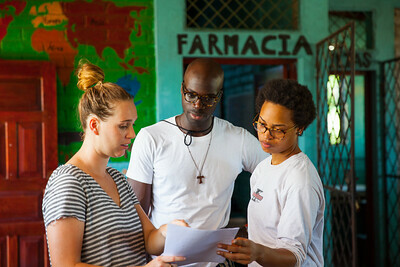 She awoke at 3:45am and traveled for nearly 4 hours to reach the clinic. 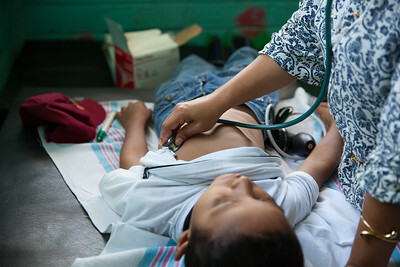 Many rural areas of Nicaragua have no healthcare facilities for the people. 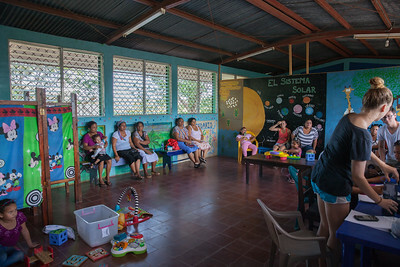 Many girls in Nicaragua begin having children when they are in their mid teens; just children themselves. This little girl just finished seeing the doctor and is waiting for her mother so she can go play.